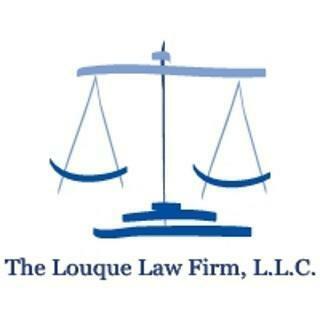 The Louque Law Firm, L.L.C. 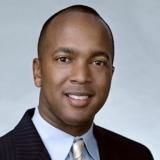 Robert Louque graduated from Loyola University – New Orleans School of Law in 2003 in the top 20% of his graduating class. He is admitted to practice before all state and federal courts in the State of Louisiana. Robert has extensive experience in representing consumers dealing with numerous issues, including bankruptcy, abusive and harassing debt collectors, wrongful evictions, recovery of security deposits from former landlords, unpaid wage claims, and defense of debt collection lawsuits. Robert also assists disabled individuals obtain the social security benefits to which they are entitled. Robert does not represent business interest or landlords against consumers. 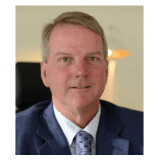 His practice is dedicated to representing consumers and he strives to ensure all clients retained by the firm receive exceptional, cost-effective representation in all legal matters handled. Visa, Mastercard, and Paypal. Credit cards cannot be used in bankruptcy matters. Contingency fee arrangement available in many consumer protection matters and security deposit disputes. All social security disability matters handled on a contingency fee if it is an initial claim for disability benefits. Most matters are handled on a fixed fee basis, if not handled on a contingency fee basis. Honors: Graduated in Top 20% of Class. A: You cannot collect his benefits until you reach retirement age if you are not disabled. A: You are going to have to pay it back. It's best to contact them and inform them of your parent's death and come up with a plan to back the amounts you spent you were not entitled to receive. A: Are you asking whether you can do something about a federal judge making you pay back money you received from social security that you never should have received? The answer is no. You were required to pay back the money you should have never received. A: Unfortunately, you do not have any legal rights (that a court can order) unless your child (the grandchild's parent) had died or is incarcerated. If your own child is denying you visitation, the court is powerless to order visitation. A non-parent can obtain custody of a minor child but only in extreme circumstances where the child is in danger (no the lesbian relationship alone will not qualify). Q. My step son that I have raised since he was 9 years old. Now 30 years old is in a medically induced coma. A: I am very sorry for your step son's situation. Unfortunately, it is too late to consider a "medical power of attorney." A medical power of attorney is something you set up to deal with this situation before it happens. Given your step sons age, I am assuming this was not anticipated and he probably did not think he would ever need someone else making medical decisions for him because he was incapacitated. Since he was likely silent on who should make medical decisions on his behalf, normally the closest living relative is allowed to make medical decisions in these situations. Some hospitals require a court order before life ending measures are taken when the patient is incapacitated. I know these fights happen often between parents and spouses but I do not know enough about this area of the law to know whether you would have the same rights as a "blood parent" in this situation. I would call a few attorneys to see if they do this kind of work regularly or know someone who does. I think you need an attorney that specializes in this kind of law, not someone who does a little of everything. Q. I have a bad back and doctor says I should be able to work, but can't find work because of it. Can I still get SSI? A: Social Security Disability is not about whether you are able to find a job. It is about whether you can perform the duties of any job. If your own doctor says you can work, you will have a hard time winning a disability case before the Social Security Administration. Q. I am not the seller I am the buyer. A: I am not sure what you are asking. I am not aware of any requirement that a mortgage company guarantee release of a mortgage (especially if it's not paid off) on a bond for deed contract. You can certainly agree to assume a mortgage under a bond for deed and it's part of the negotiation between the parties (price paid, etc.) I am also unsure of the effect of the bankruptcy on your rights under the bond for deed contract because bankruptcy throws a wrench into everything. Did you get notice of the bankruptcy filing? How long ago was the bankruptcy filing? It is possible, under perfect circumstances, your bond for deed contract has been nullified and any damages claim you may have for its violation discharged. Q. Can the Seller in a Bond for Deed file Chapter 7 within 3 months of agreement? A: How did you manage to "sell" property on a bond for deed contract that you do not own. Aside from those problems, let's assume you are the legitimate seller on a bond for deed contract. If you file Chapter 7, the trustee would likely be very interested in seizing that asset and selling it or collecting the money from the buyer. It has to be listed as an "executory contract" and is quite frankly a very attractive asset that a Chapter 7 debtor would typically lose. Q. 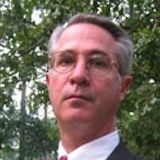 Does Louisiana law require drivers to carry collision and comprehensive (full coverage) on a leased vehicle? A: I am not sure if Louisiana law requires it but I am willing to bet the rental car agency requires it as a condition of renting their $15,000+ vehicles, in case you wreck it. Most people do not have $15,000+ lying around and the rental car agency is within its rights to protect itself and its investments.